California judge Stephen Manley appears in the mass media to announce his new program to offer 'alternative treatments' to avoid prison. He then offers hard-core drugs as the treatment, and when people refuse the drugs they are immediately locked in a prison with dangerous and diseased inmates. Tania McCash stood her ground against judge Stephen Manley and was instantly locked into Elmwood prison psychiatric ward, with multiple women who had stabbed their husbands. Amazingly enough, ... Maggiori informazioni Judge Manley's California employee pension fund is heavily invested in the corporations that make the drugs he is pushing. 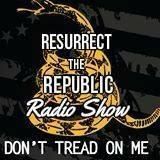 You can help by listening to RTR truth media tonight with guest host Eric the Freedom Screamer.